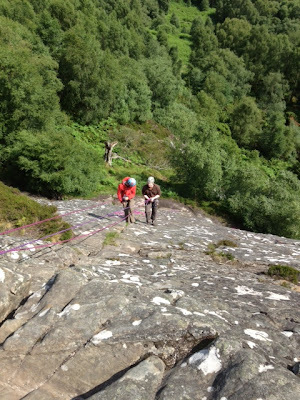 After I weeks holiday on the Boarders with friends that involved some relaxing and more mountain biking I am now just back from a week at Glenmore Lodge were I was running a Hill Skills and Navigation course. Over the week we managed to tick off 4 munros, cover lots of navigation and safety issues in hill walking and we only had to use our waterproofs once! Not really work but I spent a morning along with Laura at Ratho running a climbing Birthday party for Katherine my niece (who is turning into a very good climber), Cameron my nephew came along as well for his first taste of climbing and seemed to enjoy it. I was tired by the end of the morning and on reflection think that guiding people of ice climbs on Ben Nevis might be easier!!! 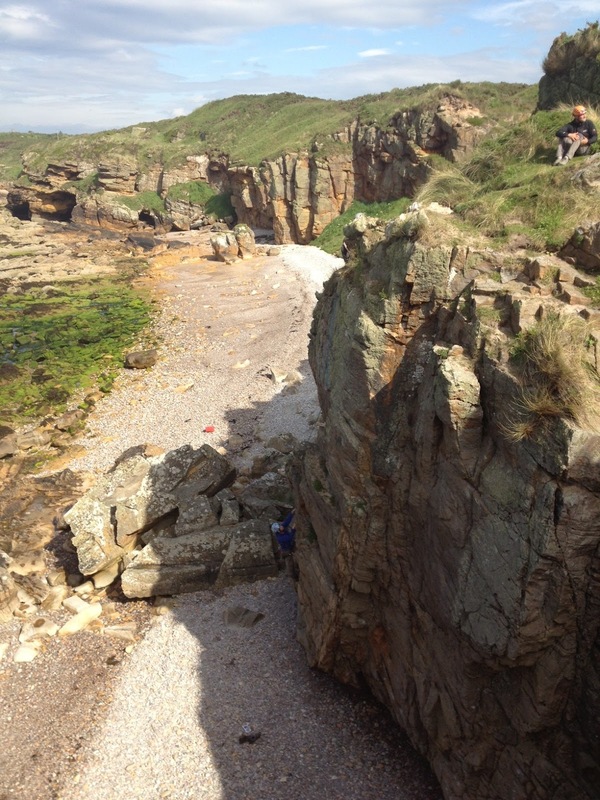 I spent 2 days climbing with Ellen and Lee earlier in the month. They were keen to progress from indoor climbing to outdoors. 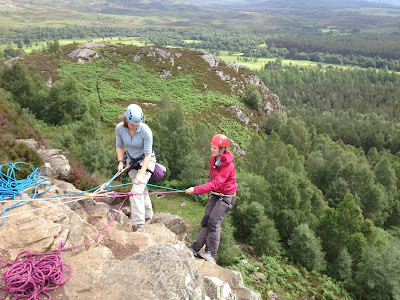 For our first day we went to Kingussie crag and climbed a pile of routes looking at the safety systems and how to place gear and construct belays. 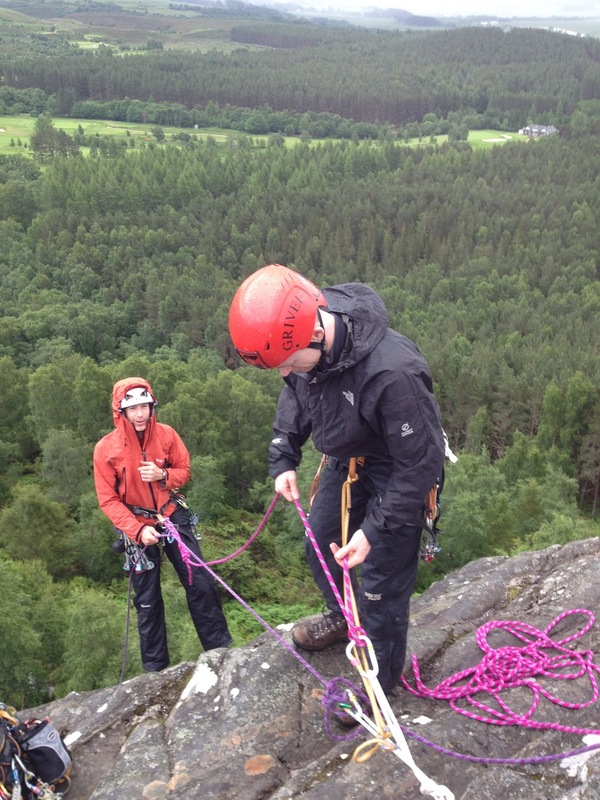 For our second day we went to the Pass of Ballater were after a recap of day 1 we looked at some abseiling and protecting an abseil plus how to rig a top rope. A good 2 days were we stayed nice and dry! Over a fairly damp weekend back at the start of July I ran an Introduction to scrambling course at Glenmore Lodge. Saturday had us looking at movement skills, route choice and looking after each other with out the use of a rope up through Twin Ribs, along the Ficaill and down the Goat Track. On Sunday we headed to the Ciste crag to look at some ropework. A good weekend even if a little soggy! 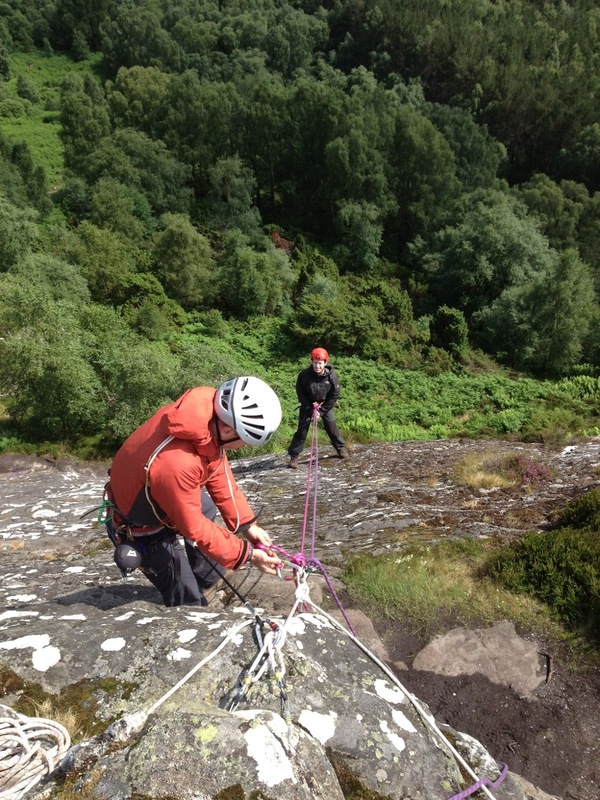 Back at the start of July I spent 3 days working on an SPA Training course at Glenmore Lodge. On the whole we had good weather for the 3 days visiting Kingussie and Cummingston to look at all the major elements of the syllabus. A good few days working with Jon Jones.